Mining company Xstrata has formally announced plans to merge with the world’s biggest commodity trader, Glencore. 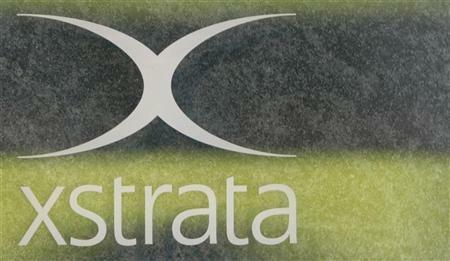 The deal would value the combined new business at $90 billion, of which Xstrata would comprise $39 billion. The announcement came as Xstrata revealed a 20% increase in profits for 2011, to $5.9 billion. But two major Xstrata shareholders say they will vote against the deal as it undervalues their shares. The deal was described by the two firms as a “merger of equals” with the new company to be named “Glencore Xstrata International PLC”. Xstrata chief executive Mick Davis will head up the new firm, with Ivan Glasenberg becoming deputy chief executive. The Xstrata finance head will likewise take the senior role in the combined firm. The valuation of Xstrata translates to a share price of 1,290 p – compared with the 1,100 p at which shares were trading before news of the deal emerged last week. Xstrata’s shareholders – other than Glencore – would have a 45% stake in the new company. But Standard Life Investments, and Schroders, which own 3.6% of Xstrata said the deal undervalued the firm and they would vote against the merger. News of the unease saw Xstrata shares fall 3% in morning trading. “This is a fabulous deal for Glencore, it’s probably a great deal for the Xstrata management, but it’s a poor deal for Xstrata’s majority shareholders,” said Schroders’ Richard Buxton. Xstrata’s 2011 financial results were well above market expectations, according to stock brokers Charles Stanley. “Given this performance, shareholders of Xstrata are entitled to ask if this is the best deal available, as Glencore paper has been disappointing,” the brokerage said. Shareholders will be able to vote on the merger in April, after Glencore’s full year results have been announced. Glencore only floated on the stock exchange in May last year in a record share offering in London. The traditionally secretive Swiss firm buys and sells metals, crops and fuels in the financial market and invests in mining companies, but – unlike Xstrata – Glencore does not typically itself extract the stuff out of the ground. For its part, Xstrata owns vast reserves of coal, copper and nickel across Africa, South America and central Asia. About half of its revenues came from its copper business in 2011, while coal contributed the most to its profit growth.